Public Safety Minister Ralph Goodale says all levels of government need to collaborate in order to improve the public alerting system. “This takes a lot of collaboration,” Goodale said during a teleconference, according to a January 25th Winnipeg Free Press article. “We all have our responsibilities to discharge, with regards to the public alerting system,” he said. The issue of failed alert systems was brought up after an EF-4 rated Tornado hit the small town of Alonsa in Manitoba last August, which killed one man and left widespread damage. At the time Pallister said the province needed to find a way to fix the alert system and that it would require the help of the federal government. The small town, along with many other rural communities, aren’t hooked up to Long-Term Evolution (LTE) mobile network services. This network is needed to be able to receive alert text messages that come from the government. At the time, Bell MTS said it had upgraded the wireless sites in some parts of the region with LTE technology and added it was continuing to look for more solutions to enhance the area. 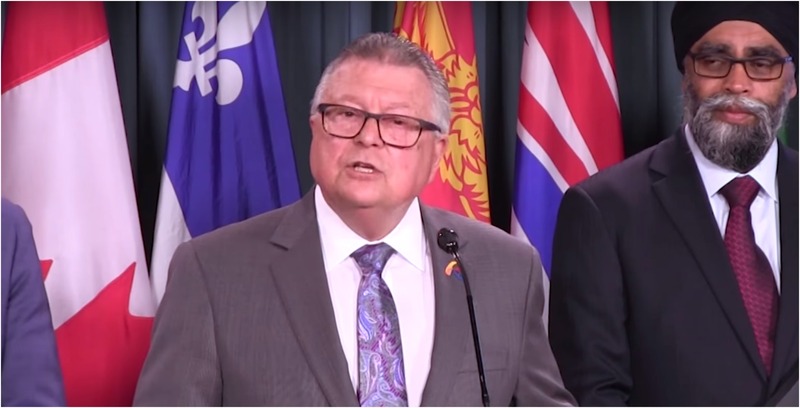 Goodale said on Friday that the issue shouldn’t be just put on the federal government to resolve, but rather everyone should contribute to fixing it. “This is not a federal system; it is a truly comprehensive system where all jurisdictions are involved: municipal, provincial, federal – the private sector is involved,” he said. He also added the residents should be upgrading their cellphones as well to ensure that they are able to get connected and receive the necessary alerts. A spokesperson from Pallister’s office said to WFP that the province intends on working with the industry and business community to improve the province’s wireless coverage.